Use this prompt from the Pearson Scott-Foresman Grade 4 series to reinforce the story. 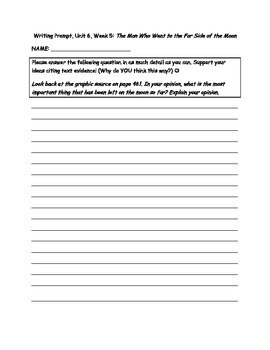 Use as an additional writing assessment, homework, or close reading activity. Created by From the Desk of Mrs. Vertrees.